<“What happens when someone dies is that we, the living, contain their memory within us… They will live on in us, and we will celebrate them. And will dance like there is no tomorrow”. Diane Torr, a dancer dedicated to artist, drag king and gender activist, passed away in May, 2017. A year to the day, I danced in a black room: it was a single shot fusing male and female as an ode to life and death. The traditional urban dance zeybekiko, exclusively danced by men, was danced by my hybrid manifestation —blended aspects of my identity. In silence I heard Diane’s words “Take space with all your being. Own the space”. I lifted my arms and danced like there was no tomorrow while the camera followed. 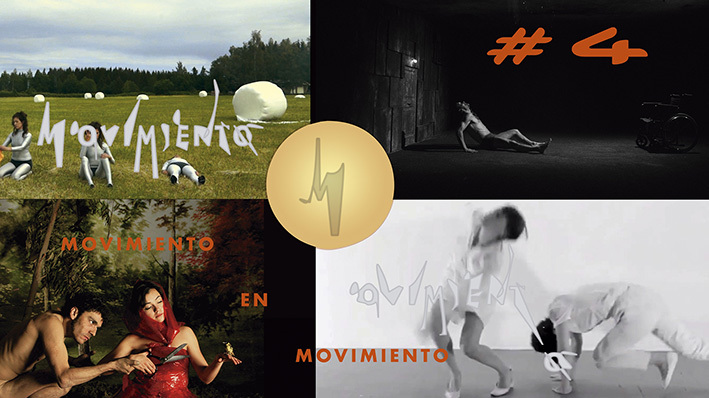 There were no edits or retakes: the aim was not to please or excite but to offer myself as a site for collective unburdening.> Fenia K.
First place in the International Screendance Award MOVIMIENTO EN MOVIMIENTO #7. Mexico, 2018. 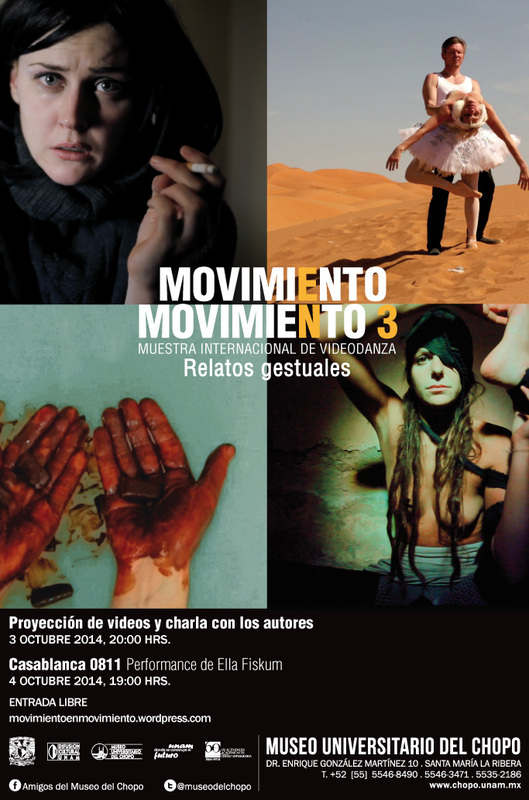 Note of the jury: The most outstanding of this piece is its strength, there is a deep feeling that is transmitted from the body in movement to the viewer of the audiovisual work, something that manages to be transmitted. 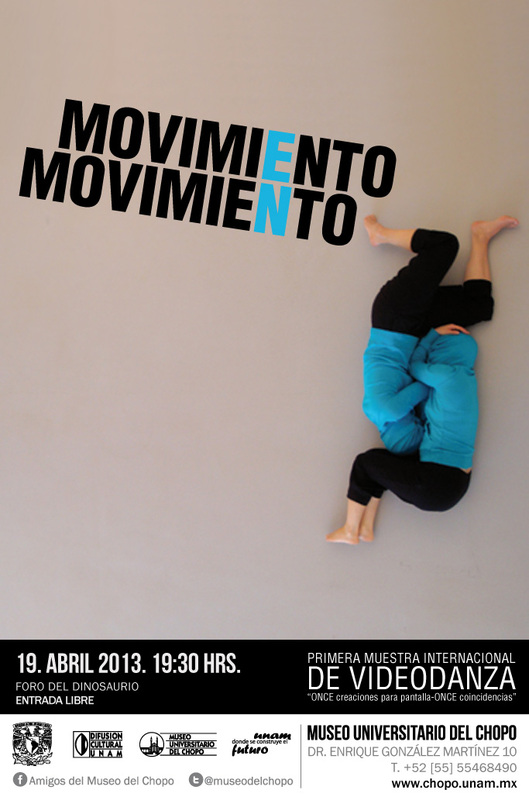 It creates a perceptive atmosphere, and a great intensity with simple but very well directed audiovisual elements. It is interesting how the camera follows the body in its ceremonial dance. It is an exercise where the living remembers the dead, dancing with them and for them, transforming themselves into the memories, getting fused with them, and, in spite of being a feminine being, she becomes a masculine being. It is a beautiful and moving film. Fenia Kotsopoulou (Greece) is a cross-disciplinary artist, based in UK, navigating creatively through the fields of performance (art), dance, video, and photography, in search of a fluid, hybrid and synthetic way of making art. She holds an MFA in Choreographing Live Art, and a BA Hons in Dance. Pivotal topics of her process-driven art practice include: Body as gathering place of emotions and site of transformation, personal and collective memory, (de)construction of fe-male identity, shame and acts of removal. In the past few years, as (dance) performer, producer and visual practitioner, her works and the work of close-collaborators have been shown and awarded at a wide array of festivals and art platforms, encompassing the fields of dance, experimental performance, live-art and video-art. Interview to Fenia Kotsopoulou, talking about her creative experience. Filmed via long distance computer call: SKYPE.